Product and ordering information for PC3001 Series Pumps. 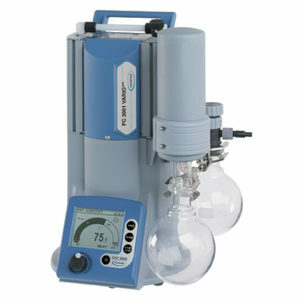 Oil-free chemistry-design pumps integrated with a variable speed motor and a digital controller. 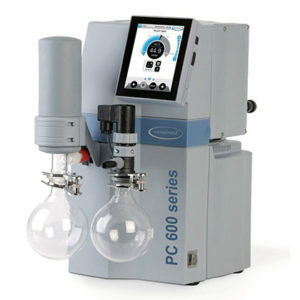 Continuously and automatically optimize vacuum levels. 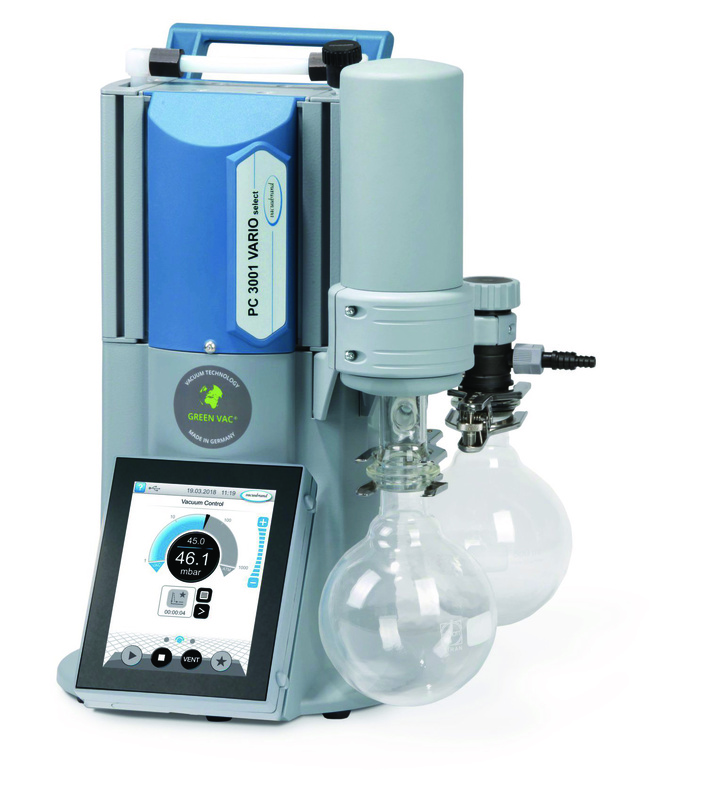 The VACUUBRAND PC3001 VARIO® select is the best choice vacuum system for bench-top sized rotary evaporators and other evaporative applications. The integrated VACUU•SELECT® touch screen controller gives you fingertip control to select an automatic routine for your desired application. 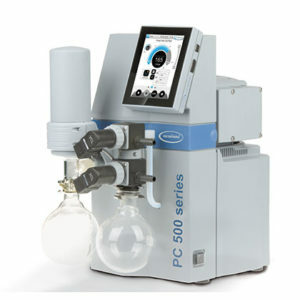 For example, for a rotary evaporator, the PC3001 VARIO® select automatically controls the vacuum, with minimal supervision, continuously optimizing to changing vapor conditions without programming. 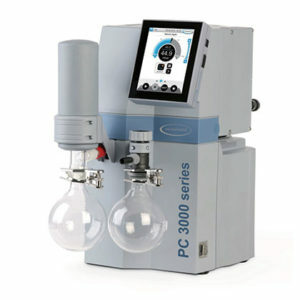 Just press “start” and the PC3001 VARIO® select provides faster evaporation and tighter control, while freeing you up to do more important work. You can even set up your own custom routine by modifying existing routines, or assembling your own with drag-and-drop building blocks. It features a VARIO® version of our MD1C vacuum pump, with integrated solvent recovery in a compact, attractive package.